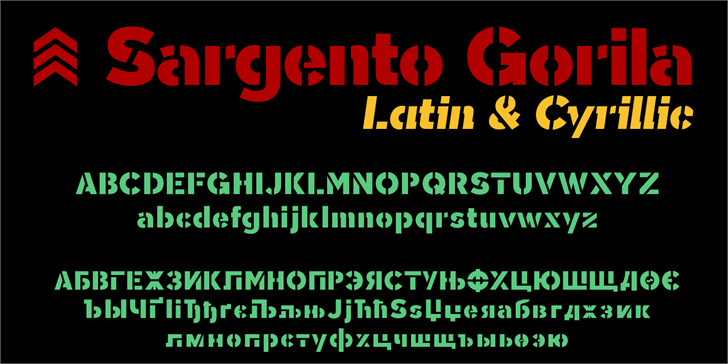 Sargento Gorilla is a sans stencil type military style that includes the Cyrillic alphabet, several monetary symbols including Bitcoin, alternative letters and various ligatures. 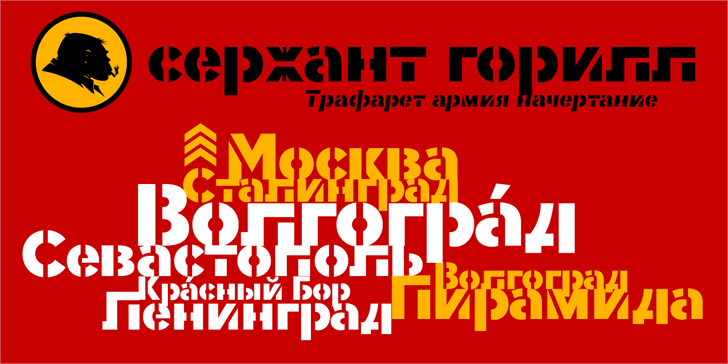 Created in 2017 and based on my previous typography Tabarra Sans Black. 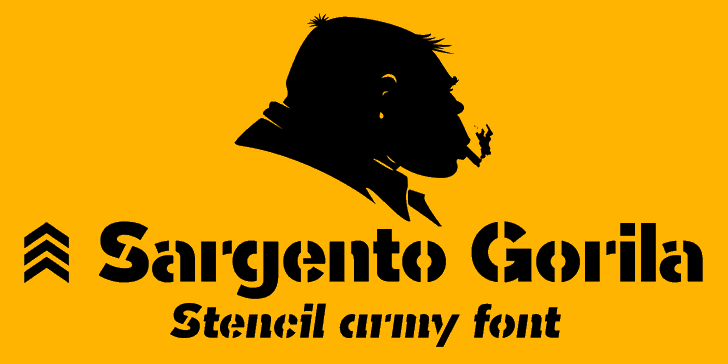 Sargento Gorila is a trademark of deFharo.